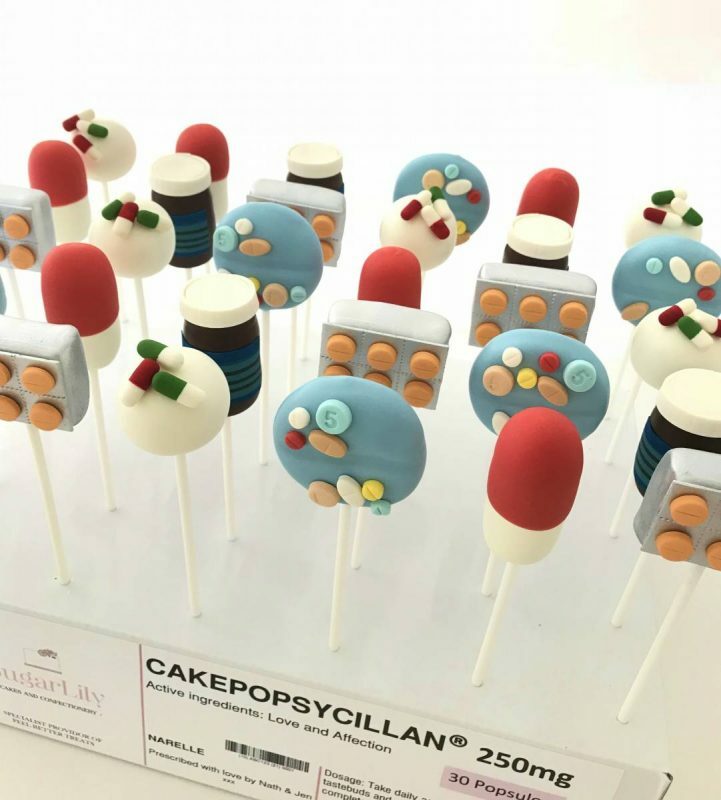 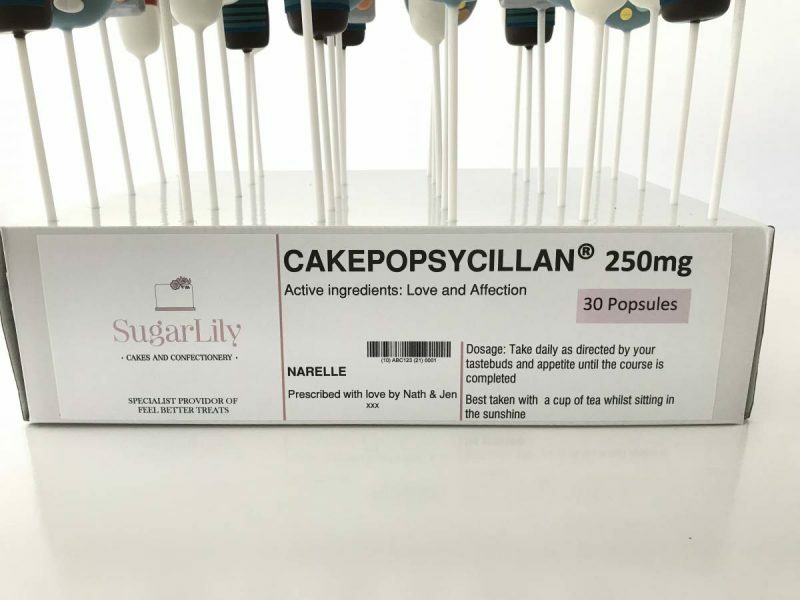 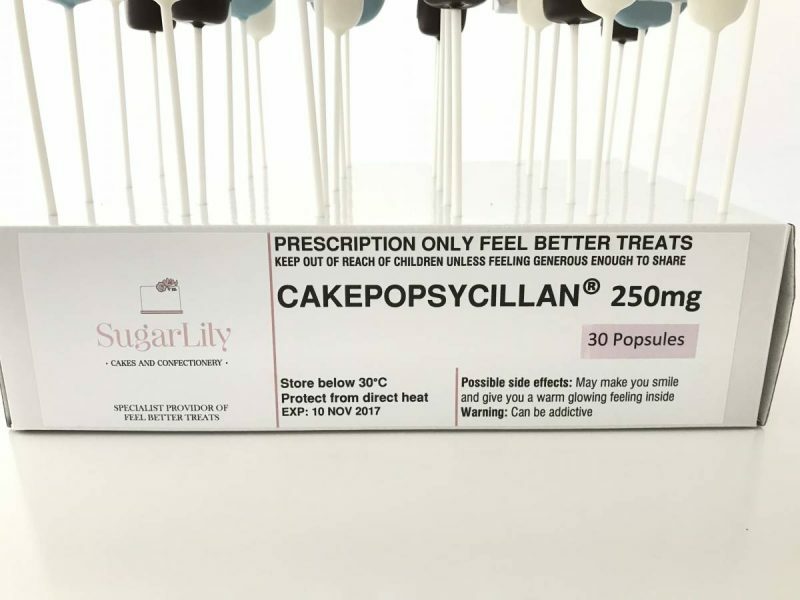 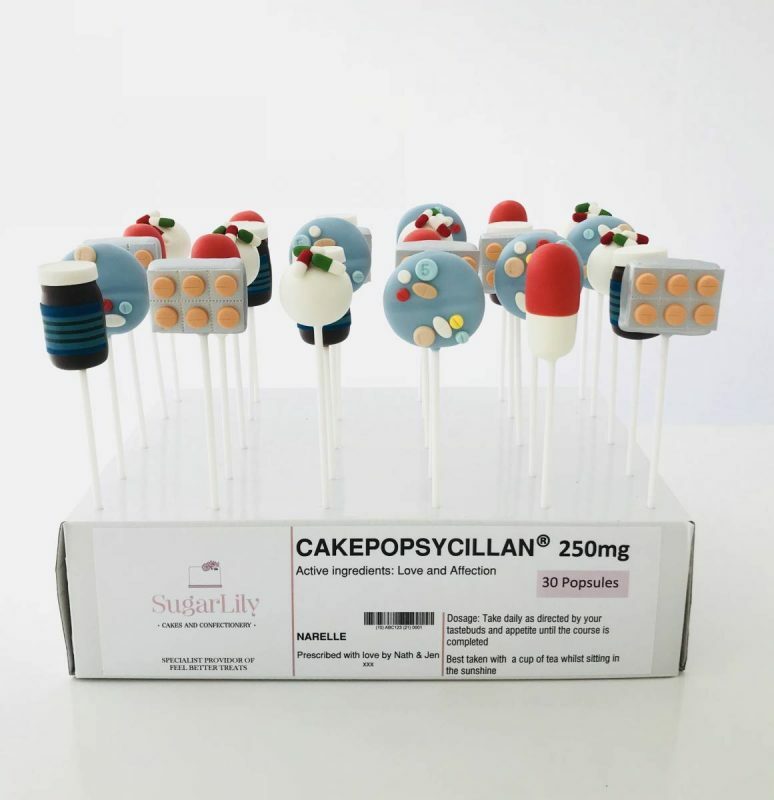 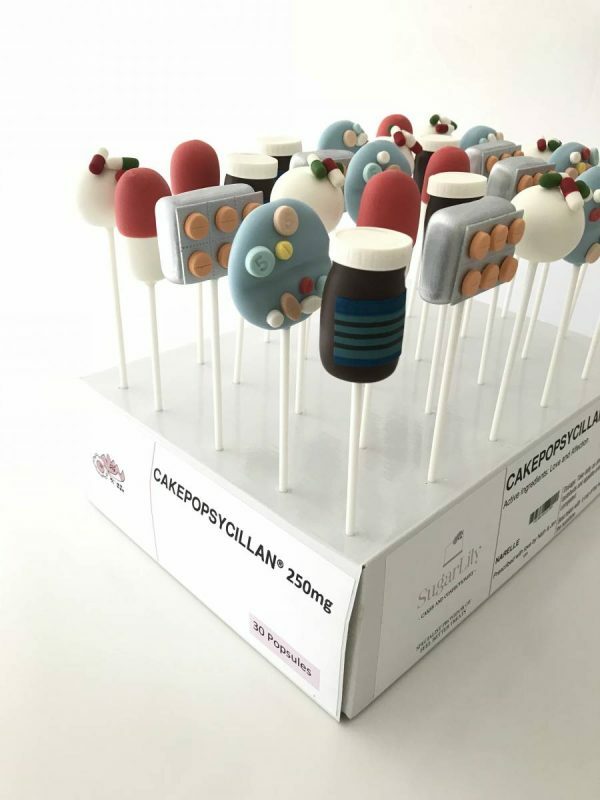 A collection of cake pops given as a gift to someone having to take lots of pills, these ones were much more delicious and with a dash of humour added for good measure! 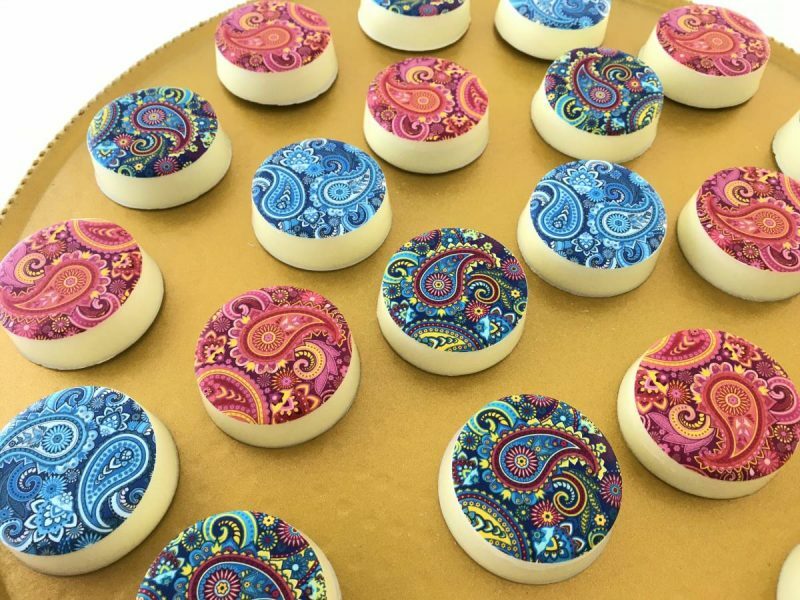 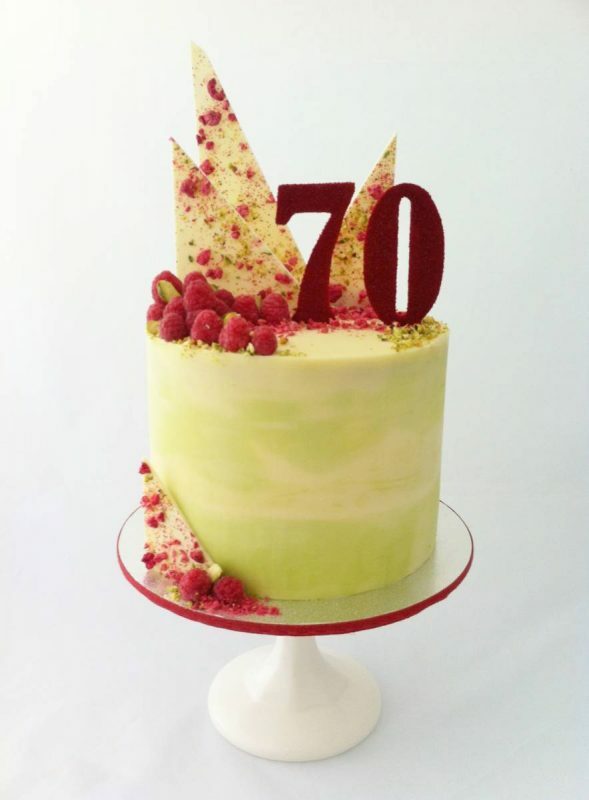 White Vanilla Mud Cake with a Raspberry Swirl and Pistachio White Chocolate Ganache. 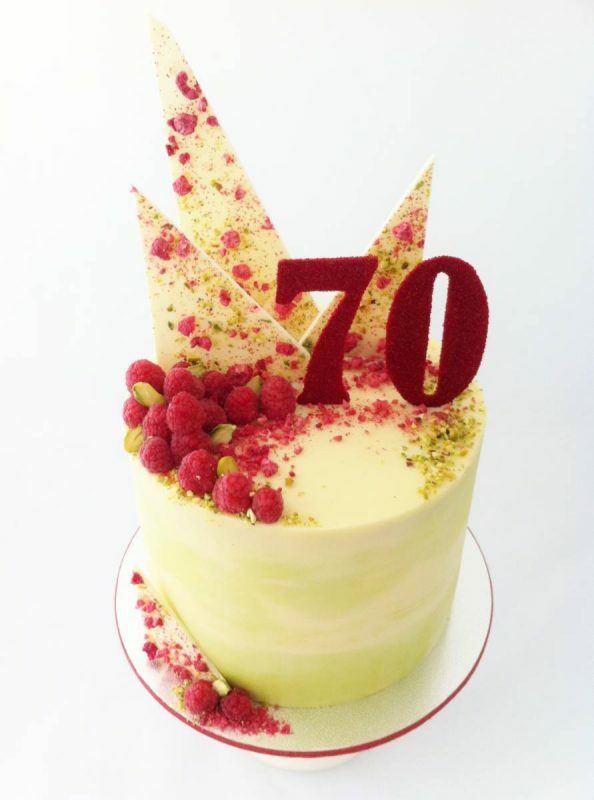 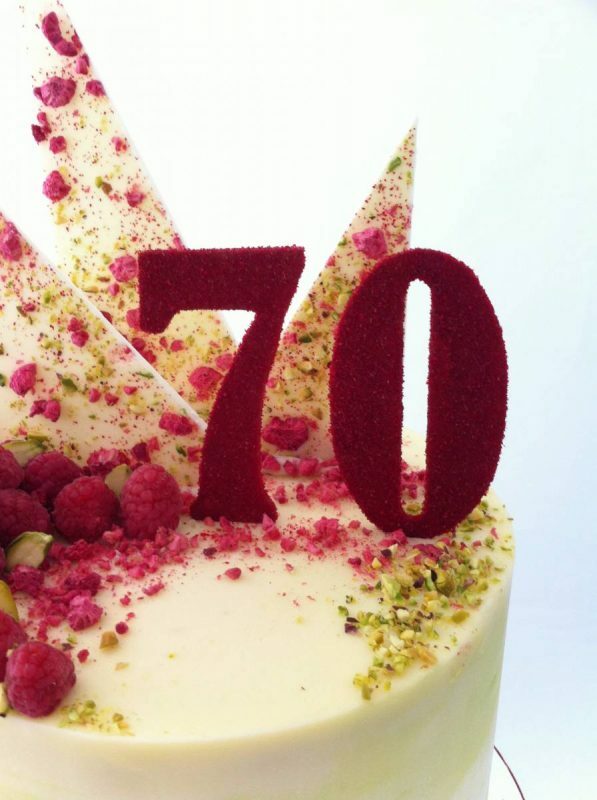 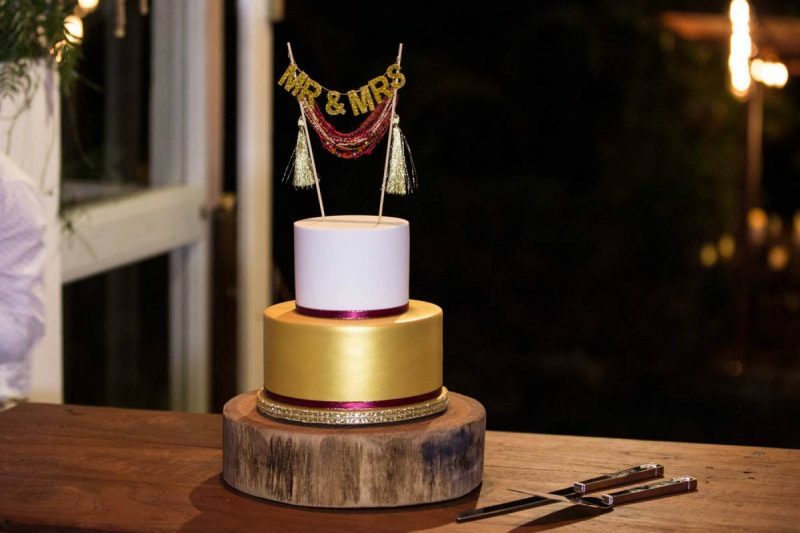 Decorated with fresh raspberries, white chocolate bark with raspberries and pistachios and a #70 hand cut from sugar and dusted with edible red glitter for a little sparkle! 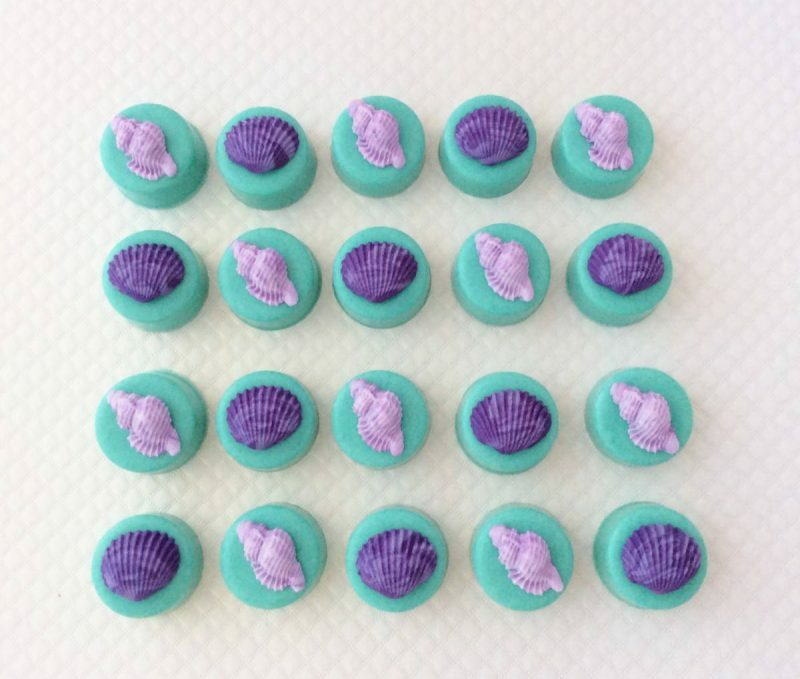 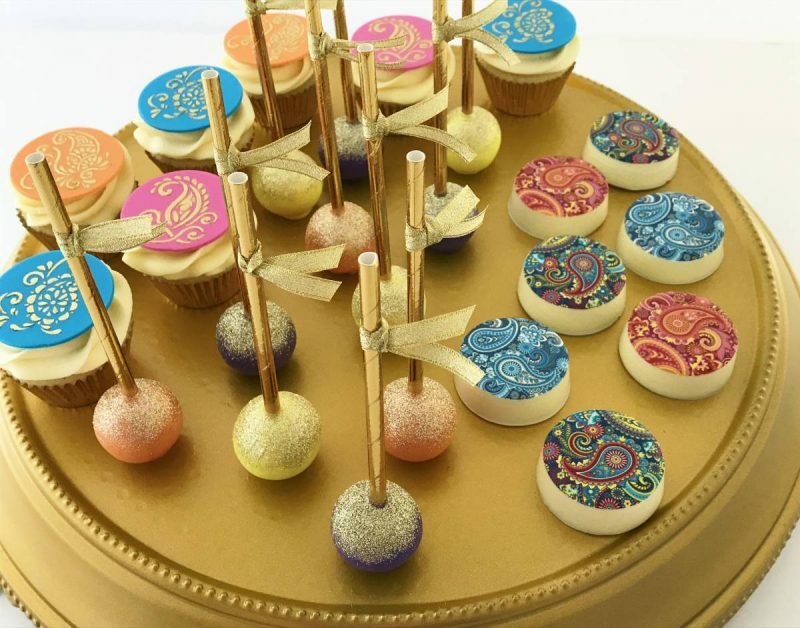 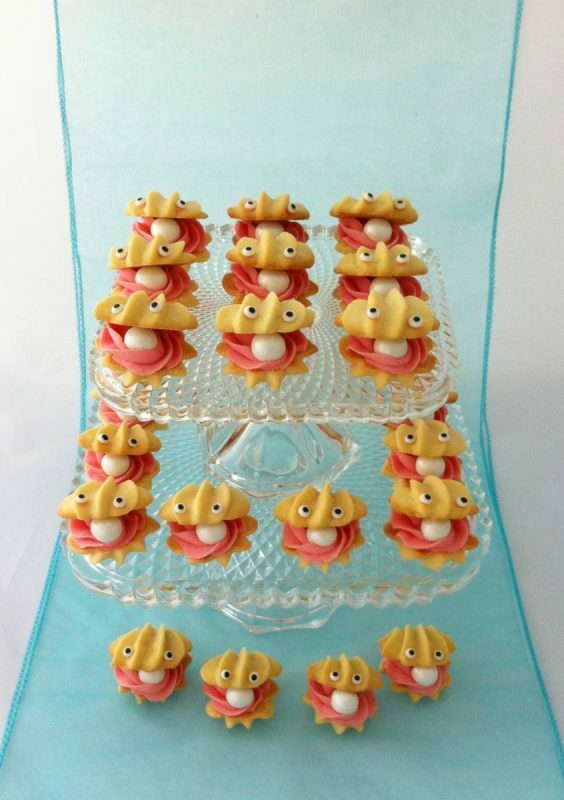 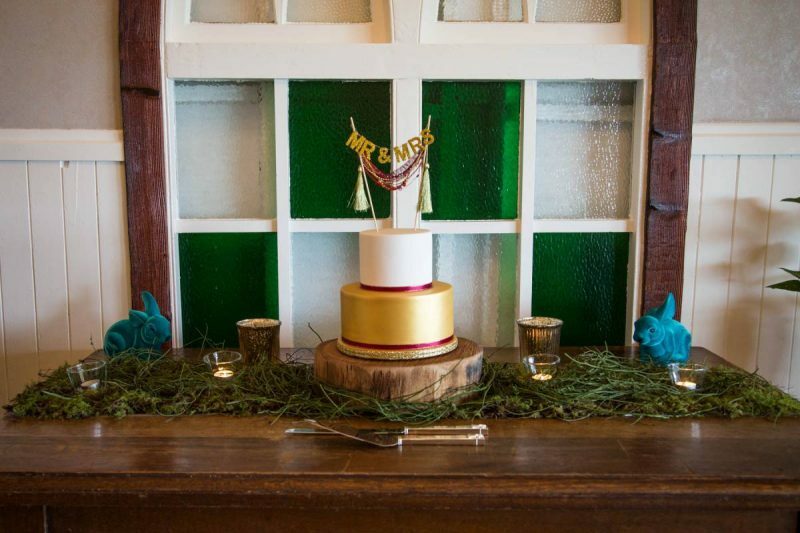 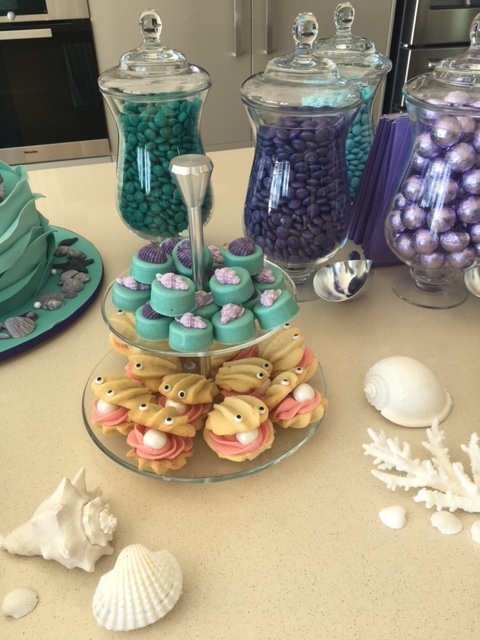 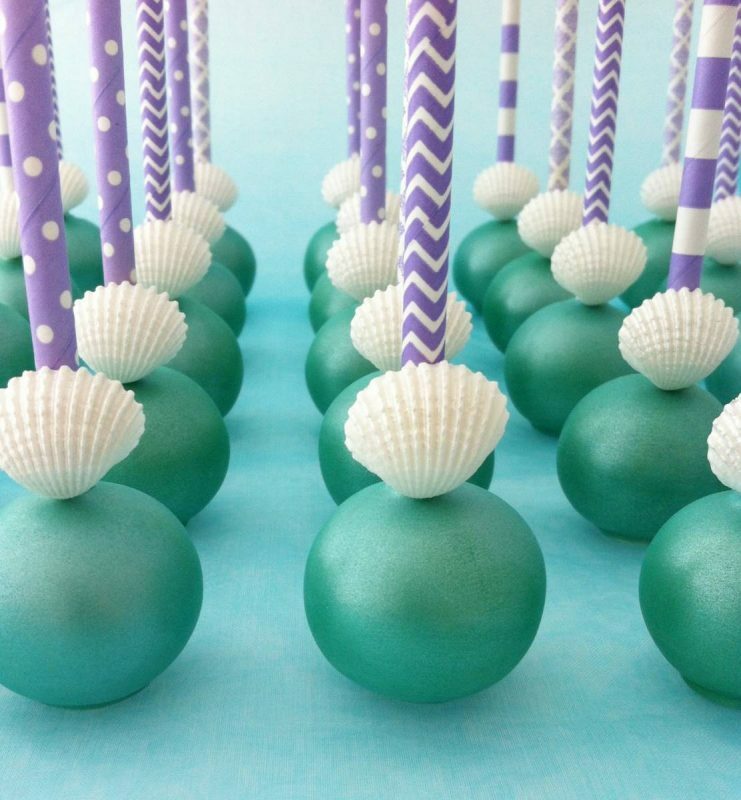 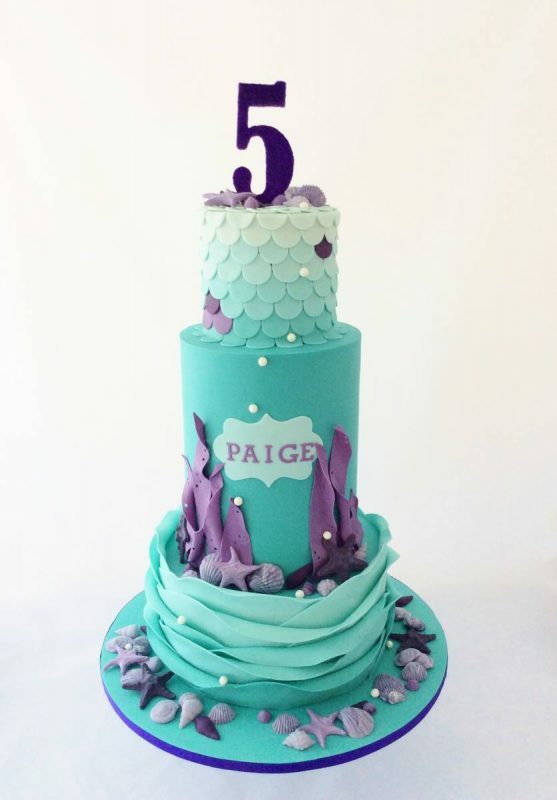 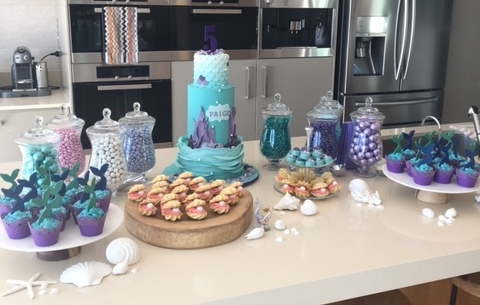 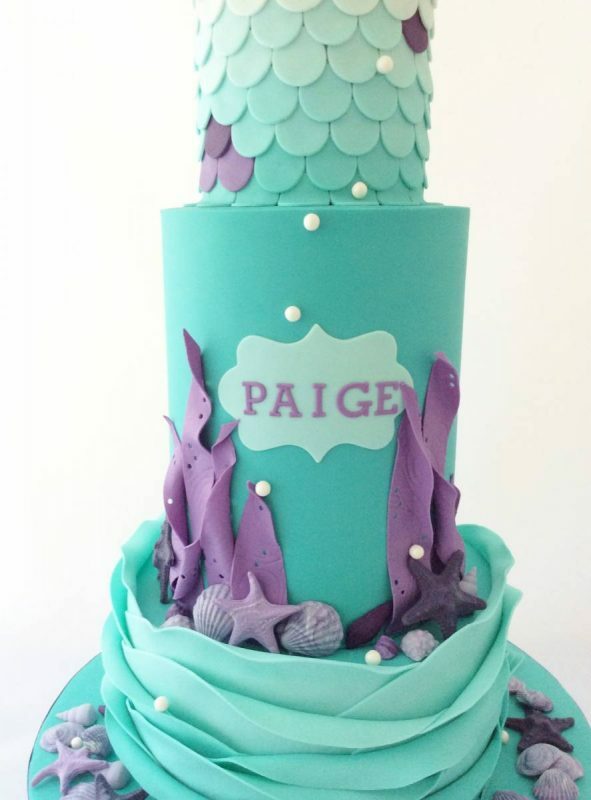 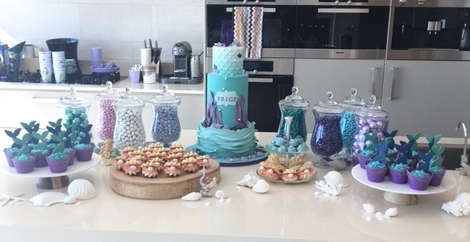 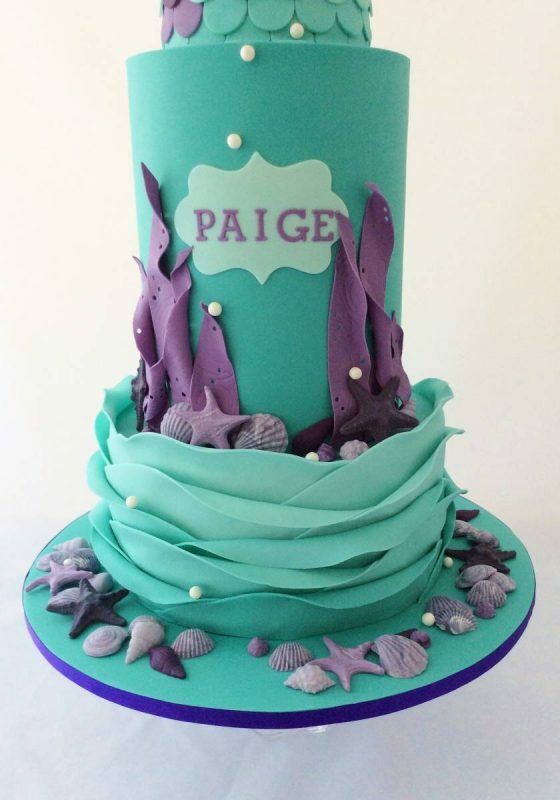 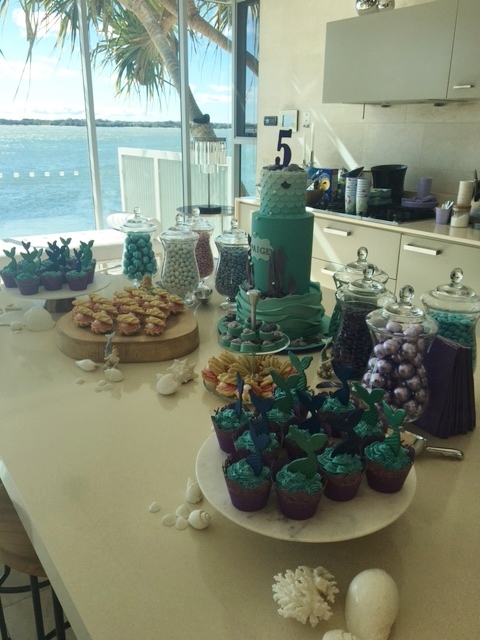 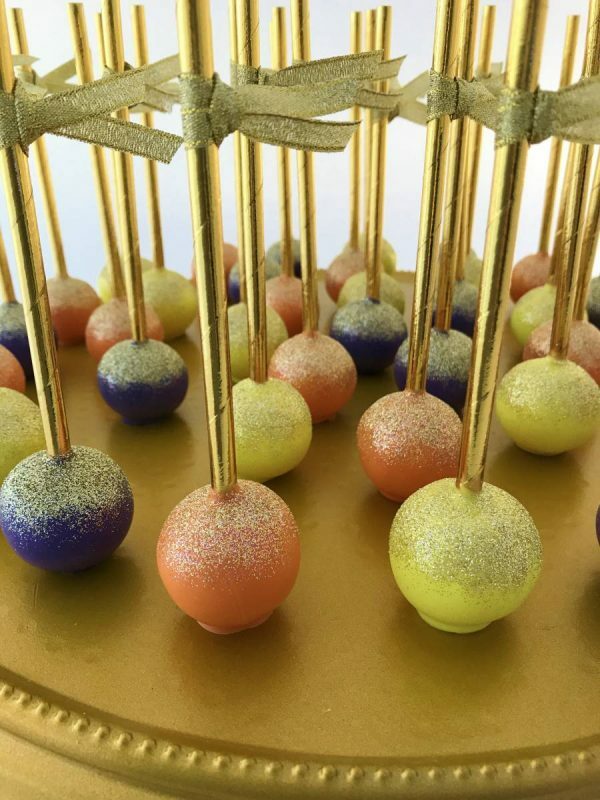 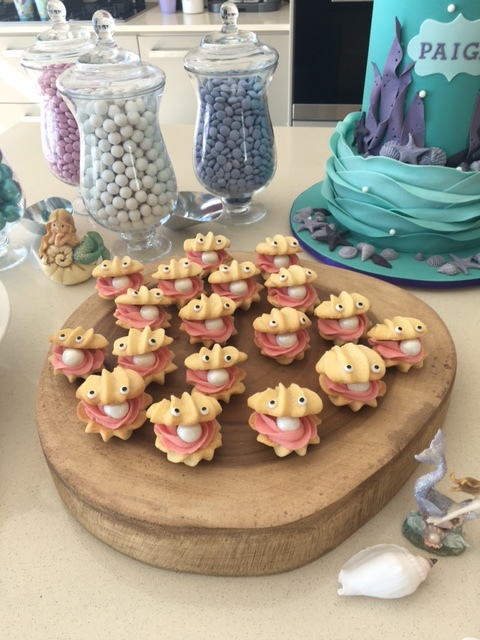 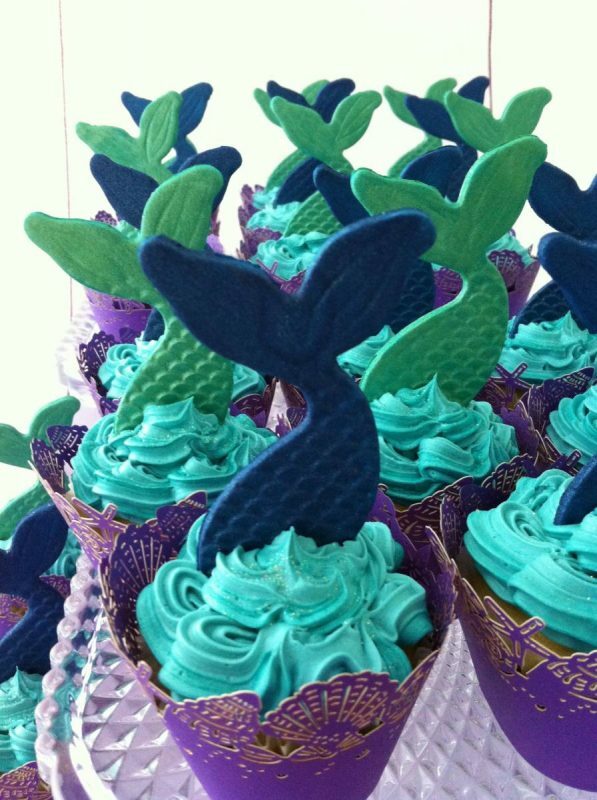 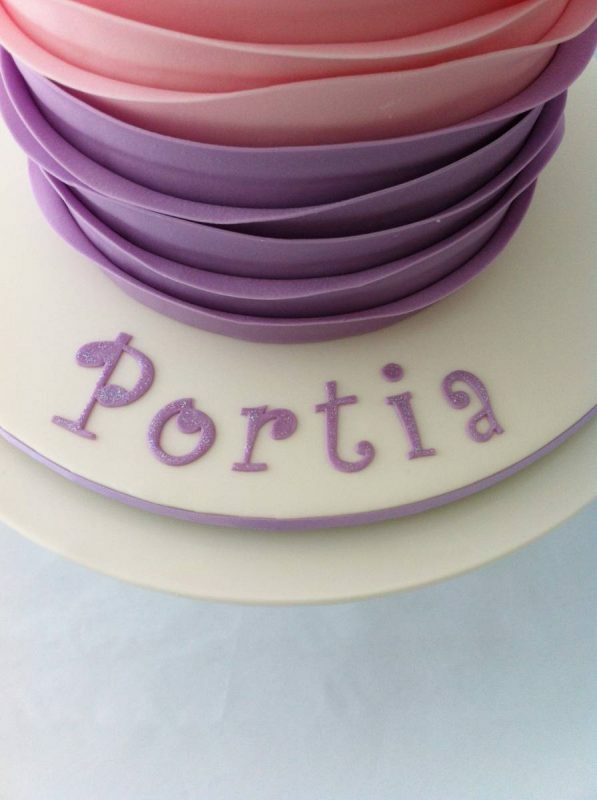 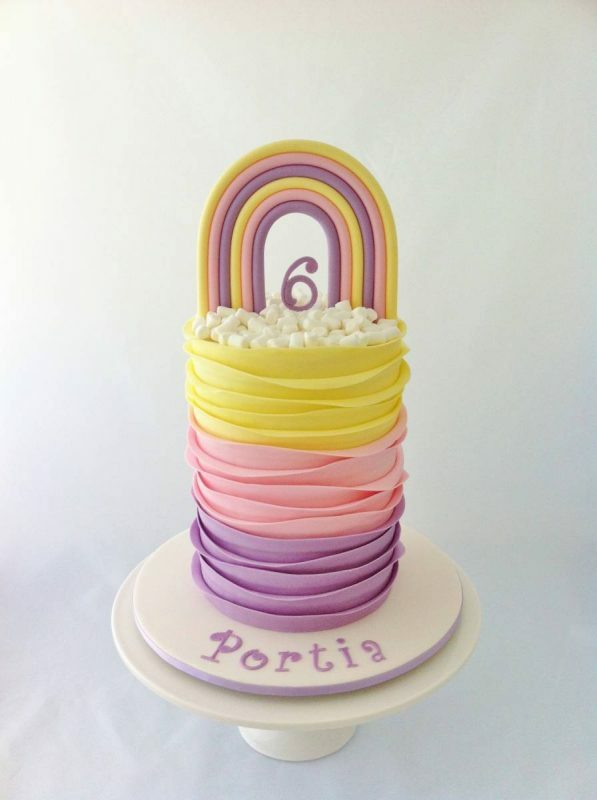 A compilation of the cake and sweet treats made for a gorgeous Under the Sea Party and some pics of how it was all beautifully displayed by the party Mum! 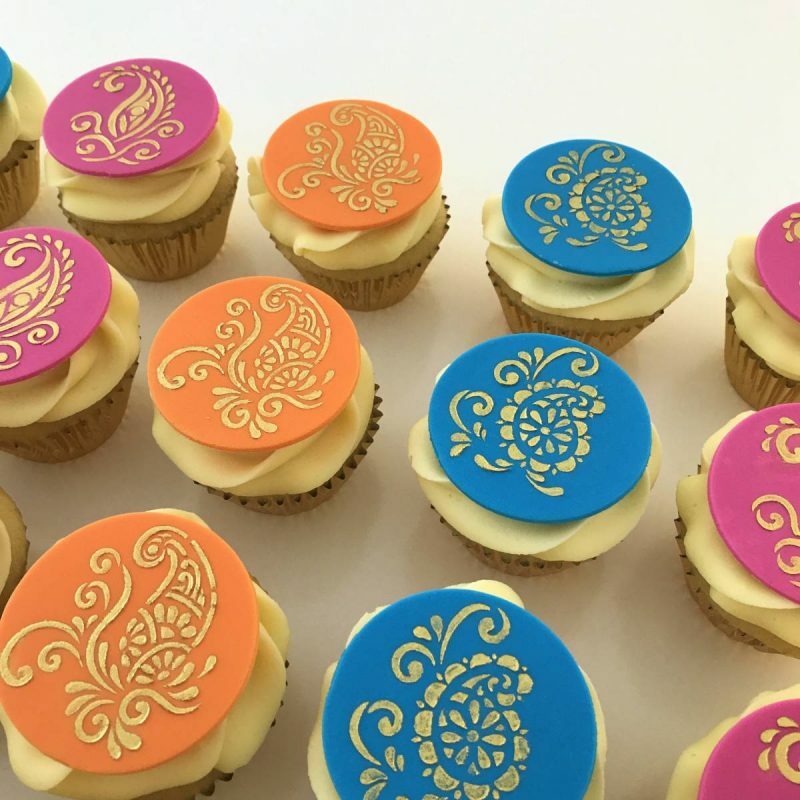 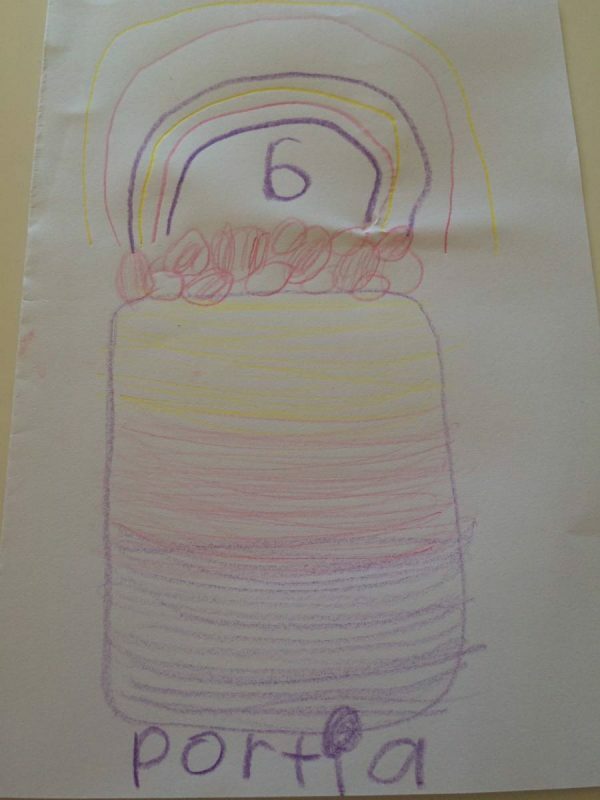 A close up of the sparkle and the original sketch of the design drawn by the birthday girl herself – just gorgeous!